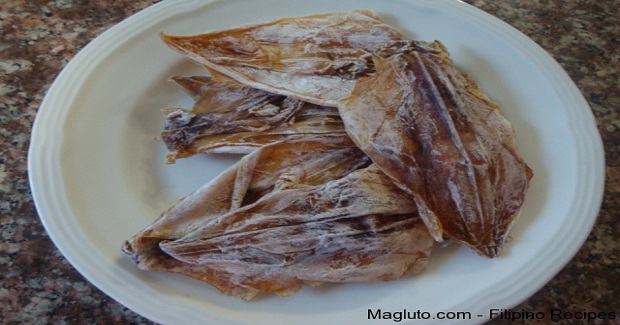 Filipino Recipe Pritong Daing na Pusit (Fried Dried Squid) - Gutom Na! Posted on Saturday, December 19th, 2015 at 3:18 pm. (Note: The oil should be very hot). Fry the dried squid for a minute or less. Serve with vinegar as dipping sauce and sinangag.